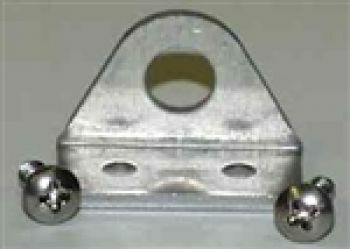 This aluminum bracket mount will allow you to mount a aero-6028 antenna or similar antenna on the transom of your boat. The picture shows the mount with a antenna attached to it on the left and just the mount on the right. This part doesn't come with the antenna!